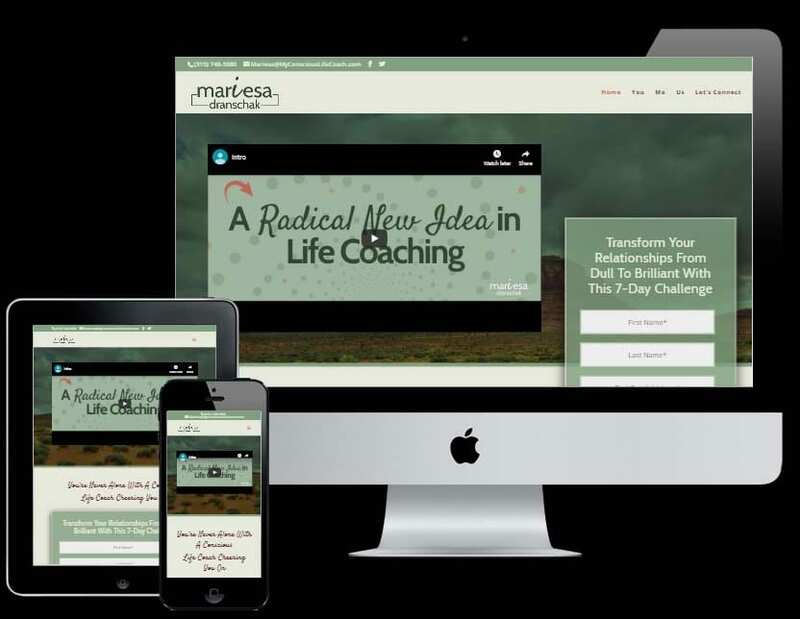 Mariesa from Myconsciouslifecoach.com was in need of a website update to reflect her latest services. Mariesa understands the value of search engines like Google to bring her organic website traffic. This was the top priority for her and for us. She needed a visual brand style and language that represented the core values of here coaching business. She also wanted to make sure that her website integrated smoothly into here email marketing campaign. This way she can leverage her website for lead capture, events, sales, and customer relationship management. We worked with Mariesa to create a professional brand image and a user friendly website that keeps her visitors captivated. It is highly functional so she can leverage her time and investment. 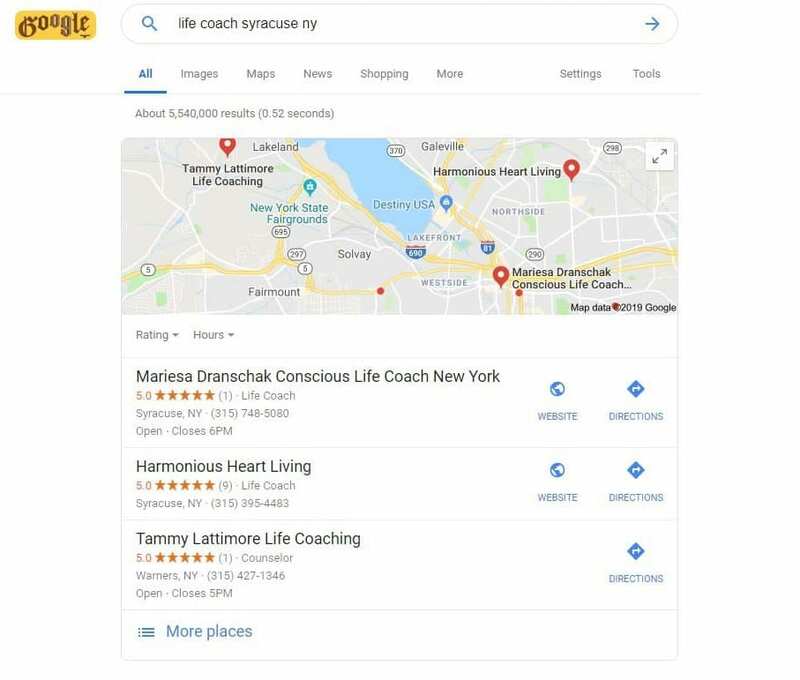 On top of that we built a website that Google loves. Mariesa has been continually working with us for years for her search engine rankings and it shows. 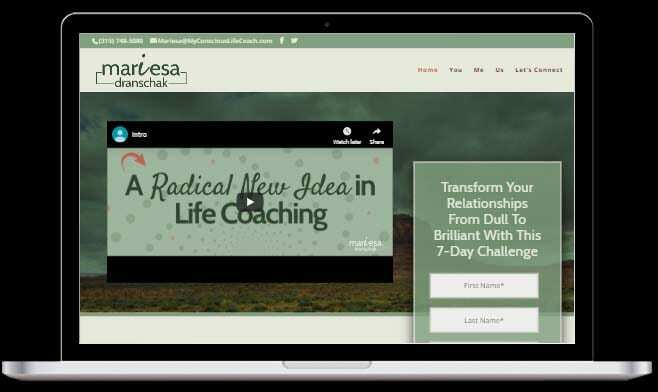 Mariesa has been enjoying the growth of her coaching business because her clients can find her. I needed to update my website to reflect my services more accurately and to increase my reach throughout the world. I am a Conscious Life Coach, Ambassador of Consciousness, and Reiki Master. I integrate all of my training and skills as I collaborate with my clients, to create and live the life they desire. I had no hesitations building my platform with Intuitive Edge Design. I have worked with them in the past to create my first website and was completely satisfied with that experience. I knew that they would walk me through the process of developing my new site content, branding, and automations, all things that I have no idea how to do on my own. Their patience and expertise throughout the project assured me I was in good hands. A favorite part of working with Intuitive Edge Design is their patience and professionalism in guiding me to define the look, feel, and personality of my brand through their in-depth questioning, suggestions, and experience. This made me really think about what exact message and image I wanted to project to the world through my site. If you are looking for a new site or a modern make over, Yes! Do it! 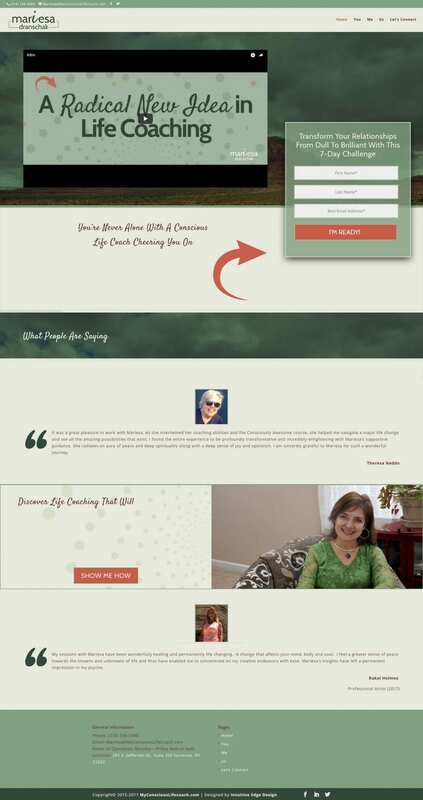 If Intuitive Edge Design can guide a not-so-confident technology user like myself through the process of creating a brand and website as wonderful as this is, they can absolutely work magic with you. Based on my first experience with them I was confident it would work out well. However, my new website exceeds all that I thought was possible. Intuitive Edge Design’s services and product went above and beyond what I expected. I am more confident in articulating my services and business to others. I am more confident interacting with technology. I now have a logo and brand to promote my services. I am now more visible and comfortable on social media. I am now able to offer opportunities for interaction through my website. I just want to thank you, for your patience and all of the time you spent with me, breaking things down into comprehensible, bite-sized chunks. Technology, websites, and social media are not my most comfortable areas, yet you helped me to tackle them with growing confidence.